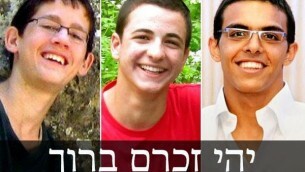 Eyal, Gilad and Naftali z’l. For 18 days we had all been waiting, hoping, praying for different news. With the Torah text open before us​,​ it became the first source of comfort for us all. Shema Yisrael Hashem Elokeinu Hashem Echad, Hear, O Israel: Hashem is our God, Hashem is One. The Shema is traditionally the first thing that loving parents whisper to their precious newborn​s​ as well a​s​ the final pronouncement at the time of death​ – t​he bookends of our life on earth, and maybe the most central message of Jewish life. It is in fact the creed that many Jews bind on our arms and heads each morning, hang on the entrywaysof our Jewish homes, and recite upon awakening and again before laying our heads down to sleep. Perhaps due to the ubiquitous, ever present reminder of the Shema we tend to overlook its meaning. Moshe tells us, as we move into the Land of Israel, we are not destined to be yet one more civilization that will fill the pages of history, but for something eternal. Not because we are better or different but because our understanding of God leads us. 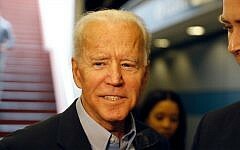 These same words became the cry of martyred Jews dating back to Rabbi Akiva​, the great scholar of the Mishna at the end of the Bar Kochva rebellion, when​,​ in year 135, he is cruelly executed. The Talmud (Berachot 61b) records that as the Roman executioner is peeling back his skin, Rabbi Akiva is reciting the Shema. His students ask him how he could say Shema at such a time? He responds, “All my life I was pained about the second verse of the Shema, ‘with all your soul’ ​- even if He takes away your soul – and I said to myself, when will I ever be able to fulfill this command? And now that I am finally able to fulfill it, I should not?” It is then that he extended the final word Echad – One, Unique, until his life expired with the pronouncement of that word. A heavenly voice went out and announced: “Blessed are you, Rabbi Akiva that your life expired with Echad​. This powerful narrative leaves us longing to understand. What comfort was it to Rabbi Akiva or his students that his final word in this world and final breadth ended with Echad? Appreciating the Heavenly voice’s confirmation of his expression is of great significance. What lies behind the prominence of the conception of God as Echad– Unique​? “Listen, Israel​, Hashem is our God” with the universal message that all humans are in God’s image and of infinite worth​.​ Hashem is Unique in commanding the value of all life as the foundational message for what it means to be a Jew. God commands us to “choose life.” ​Judaism’s message is predicated on the sanctity of life. Our Sages teach​,​ “better one moment of Torah and good deeds in this world than all of the world to come” (Avot 4:17). 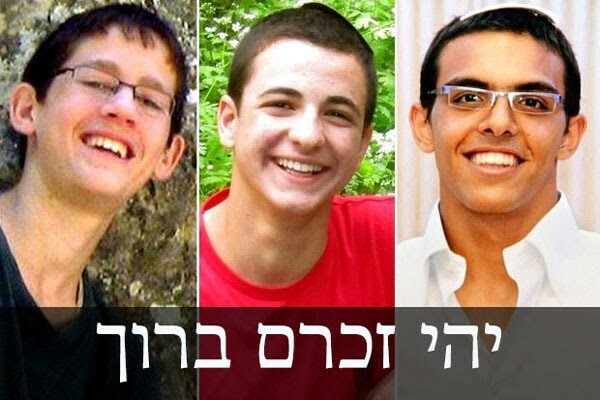 Over these past 18 days​, Eyal, Gilad and Naftali​,​ though already not among the living, have inspired more unity, prayer and good deeds than​ any of us could have envisioned. In this way​, they continue to live. Yesterday’s funerals coincided with the Rebbe’s 20th yahrzeit. The Lubavitcher Rebbe z’l​, succeeded where no other Jewish leader even dreamt of bringing ​the message of Shema Yisrael – of God, Who sanctifies life and cares about each and every person​. Namely, the public sphere, through his emissaries emphasi​s on tefillin and mezuzah, and proclaiming “Hashem Echad”- God is Unique. In 1956, after a terrorist attack on Kfar Chabad, Israel​, in which five young boys were murdered, the Rebbe sent a message to the citizens of Kfar Chabad saying: B’hemshech ha-binyan t’nuchamu – through building in life​, you will find comfort and consolation. It was true then​;​ so too may it bring comfort now. May the God give strength to ​His people. May God bless ​His people with peace. 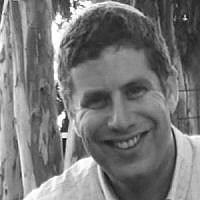 Rabbi Yair Silverman is the director of Moed- actively investing in the Jewish life of modern Israel.